Juices, Smoothies and Shakes: Do You Know The Difference? And then THAT thought got me to thinking about the differences between the two and I wondered if other people really knew what those differences were. So what IS the major difference between juices, smoothies and shakes? If using a standard juicer, it’s basically fruit, vegetables or both that has had all or most of its juice extracted from it and the pulp (flesh, skin, fiber, etc.) stripped from it. Just So You Know… You can make juice with a blender! If you don’t own a juicer, you can still get all the benefits of juicing using a standard blender! Click here to read more about that. Pictured below is an example of how all of the fiber (pulp) is stripped away when you juice – which makes juicing great for when you simply want or need to give your digestive system a REST from digestion yet, get the nutrients from the fruits & veggies! A smoothie is like the aforementioned juice with all of the stuff left IN that would normally be stripped out when juicing. 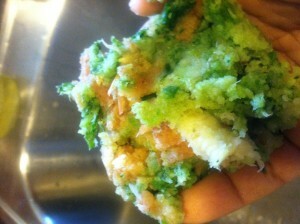 They are generally made using a blender and it’s thicker and “pulpier”, texture-wise, than juice. 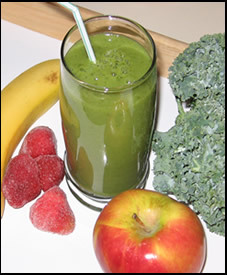 Smoothies are typically made with fruit, water (or juice) and ice as it’s base. Other things can be added such as greens, vegetables, healthy fats (coconut oils, flax seed, etc.) and even fiber. Now, I see a LOT of people and establishments putting things like milk or yogurt into, what they call, ‘smoothies’. Shakes are generally made with a base of milk and/or ice cream, but can also be made with a faux milk (ex: nut milk), yogurt, or even bananas! Texture-wise, they’re typically smoother, creamier, and less pulpy than smoothies. When I was a raw fooder, I made my shakes mainly with bananas (generally frozen) and either nut milk or just a handful or so of cashews & almonds as the base. Now-a-days, I opt for a healthy meal replacement shake as opposed to making them myself, since it has a lot of wholesome ingredients & superfoods already in it that it would cost me an arm and a leg to add in myself. 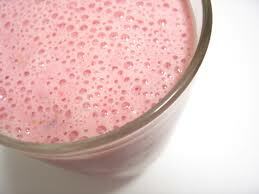 Then for flavor variety, things such as peanut butter or fruit could be added to the shake. And like smoothies, these are made using a blender. 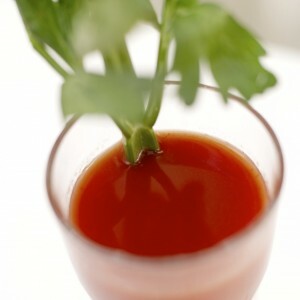 Juices are extractions of fruits and veggies!